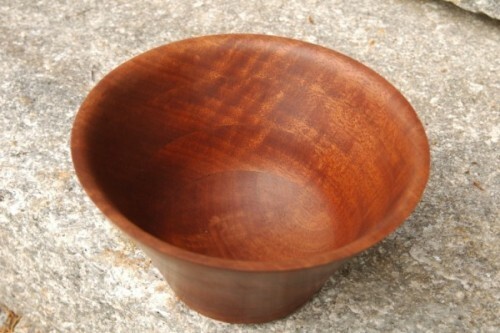 This is was made by cutting concentric rings at an angle, stacking, gluing them and then turning the bowl. All from a 8" x 8" piece of wood. If you look closely you will see the rings.